The Schneider 5x5" Solid Color Sahara Gold Water White Glass filter is especially useful in creating a rich warm scene, for an old Technicolor look. 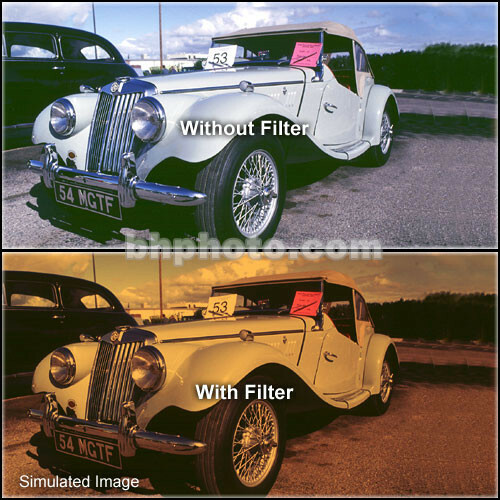 This filter approximates 3/4 the color correction value of an 85 Color Conversion filter. It can also replace an 81EF warming filter for a cool look. It also holds skintones better than an 81EF. Schneider solid color filters feature crystal clear, water-white optical glass, protected against edge-chipping and delamination by Schneider's unique Edge Seal, which also significantly reduces edge reflections and flare.